Well, that didn’t take long. 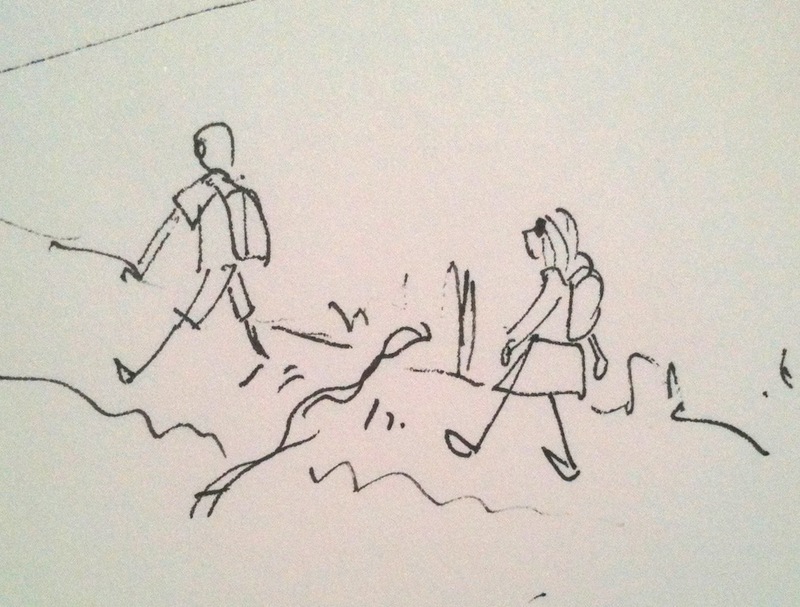 Walking back from lunch down a dusty track on the edge of town near the river – all hell breaks loose. It was a five foot-long snake the width of a billiard ball. A brownish-black colour with a tapered tail that came within half a metre of both of us – not a metre, 50 centimetres! It was so fast M didn’t even see it as he turned. S says it did the classic ‘S’ movement across the path. A path we’ve frequented on a, yes! – starless and bible black night. M normally leads the way when walking – an echo of prehistoric man checking for danger and clearing the way for his partner and offspring. But in reality it’s to do a runner at the first opportunity when a creature, in this case a snake, is disturbed from the undergrowth. What we need to find out is was this a bit of bad luck? We’ll ask the gardener this week and question other people. He’s already informed us it’s mating season, so snakes are more active, although, he says, they ‘don’t like the heat of the day’. Tell that to the sodding snake. If the consensus is; Spotting a snake happens once in a blue moon, we’ll live with that. If it’s a regular occurrence then we’re unsure what we’ll do. On our Órgiva to Lanjarón walk we saw a couple of smaller snakes – including a squashed one in the road. But you expect it, you’re in their manor. M’s phobia of snakes is such that, aged 22, he ‘saw’ a snake at home in London and punched his way out of his bedroom window – leaving a trail of blood from his hand similar to a scene from Friday the 13th. He has a scar to prove it. A pathetic attempt to cure himself of his phobia included prodding a python behind a grill in Bangkok’s famous snake farm. Fat lot of good that did, then. We’ll have to check under the bed each night now, like children who’ve just been read a scary bedtime story. Ireland – where S is from – famously has no snakes, thanks to St Patrick…or something. It’s clearly Revenge Time in Spain. Boo hiss.